Remember when LG Malaysia’s Facebook page once announced that the company would be bringing in the LG Optimus G to Malaysia by Christmas last year? Well, that didn’t happen and I hope they have a good reason for that, like an Optimus G Pro maybe. We don’t have to wait till MWC 2013 to see the next flagship smartphone model from LG will be like, over in Japan, the G Pro for NTT DoCoMo was recently announced and what can we look forward to? 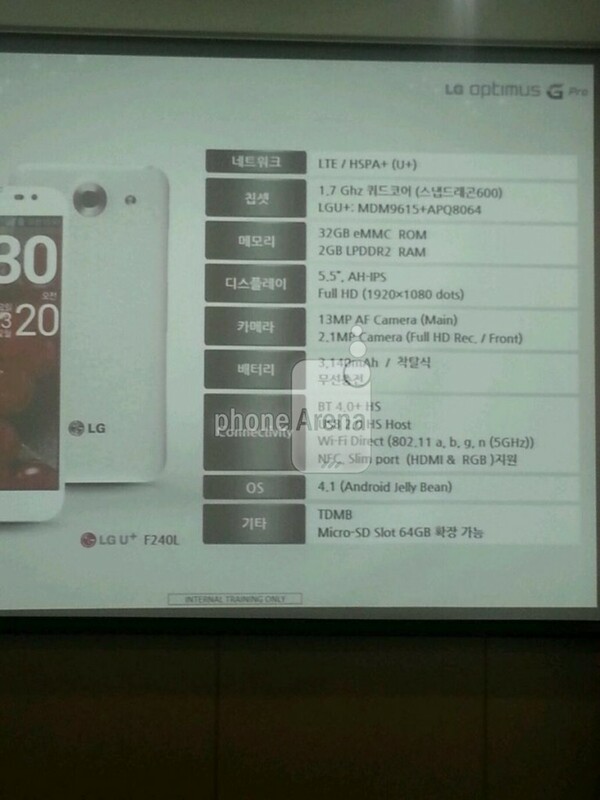 A 5.5” Full HD 1080 x 1920 device that packs very exciting hardware under its large hood. First up, the G Pro is powered by a 1.7GHz quad-core Snapdragon processor with LTE radio and I hope this time round, LTE will be something we can look forward to. 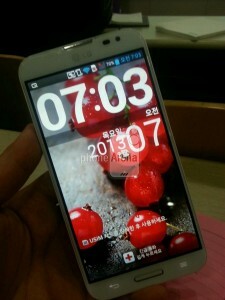 It has got 2GB of RAM, 13MP rear camera and a 2MP front shooter that is capable of 1080 video recording. But the excitement doesn’t stop there, the Optimus G Pro will have a 3,140mAh battery on board, 32GB of internal memory expandable via microSD but sadly, it’ll only run on Android 4.1; rumor has it that its competitors like the Samsung Galaxy S IV will come with Android 4.2. Are you excited to see what LG has got to announce this MWC?